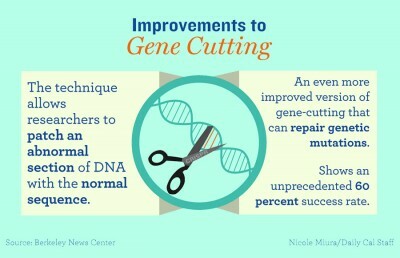 A team of UC Berkeley researchers announced Monday new findings on the functions of the genome editing technology, CRISPR, as well as the potential for a related RNA-cutting enzyme. The study, published in Nature, biochemically characterized a new family of C2c2 — an RNA-guided and RNA-cutting enzyme — that targets RNA instead of DNA. The researchers’ work raised questions regarding the enzymes’ dual RNA cleavage activities at the molecular level and examined the potential role for C2c2 within its native context in bacteria. “We demonstrate that C2c2 can be used (as) a novel RNA detection device that may be useful as a low-cost diagnostic,” said Mitchell O’Connell, co-author of the paper and a postdoctoral fellow at UC Berkeley’s Doudna Lab. “C2c2 might also prove useful as a means to bind and/or isolate specific RNAs, which will be useful for the RNA and synthetic biology community as tools to help understand the roles of RNA in biology,” he added in an email. According to O’Connell, the two distinct RNA cutting activities each have their own function. While one activity produces guide RNAs that allow the protein to target specific RNA molecules, the other functions as a cleaver that destroys nearby RNAs. CRISPR-based technologies are in development for use in diagnosing disease, biomedical treatment and agriculture, according to Megan Hochstrasser, scientific communications manager for the campus Innovative Genomics Initiative. “This study is yet another piece of evidence that studying basic biology provides not only a deeper understanding of the fascinating natural world, but also gives us valuable tools that can help both humanity and the environment,” Hochstrasser said in an email. Alexandra Seletsky, co-author of the paper and campus graduate student at the Doudna Lab, has been working on this “whirlwind project” for approximately eight months. 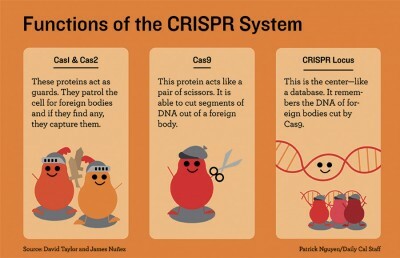 Seletsky said the research describes a new class of proteins that comes from the same bacterial pathways as Cas9, but with a major difference in that it targets RNA rather than DNA. 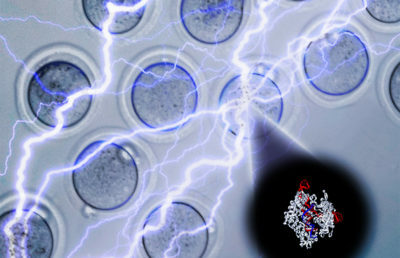 The new study was a testament to the “amazing powers of natural selection to bring into life nano-machines we wouldn’t have dreamed of,” said Michael Botchan, campus interim dean of biological sciences, in an email. Botchan is not affiliated with the study. 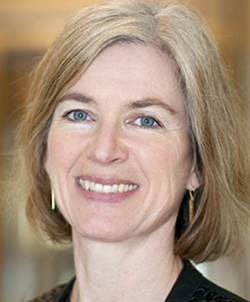 Apart from Doudna, Seletsky and O’Connell, the research team included campus professors Robert Tijan and Jamie Cate as well as Doudna Lab researchers Spencer Knight and David Burstein. Contact Parth Vohra at [email protected] and follow him on Twitter at @ParthVohra622.